I've been up to my old tricks. I cannot believe it's been nearly two months since I've posted in this space! I miss it and I miss checking in on you all. Thanks to all of you who have been checking in on me! Yay, happy to see you're back AND sewing too. Your newest quilt is adorable, as usual. Hope you're doing well, and come back soon! glad you're back. 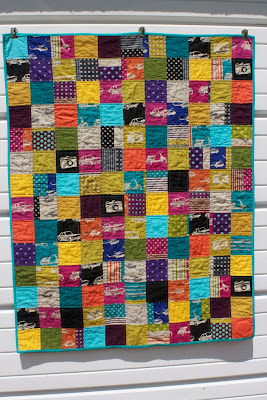 :) and the quilt is just lovely of course! LOVE THIS! So colorful and happy! is great you are back!! 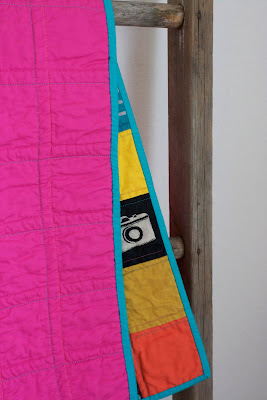 love that quilt and all the fabric there! Welcome back. 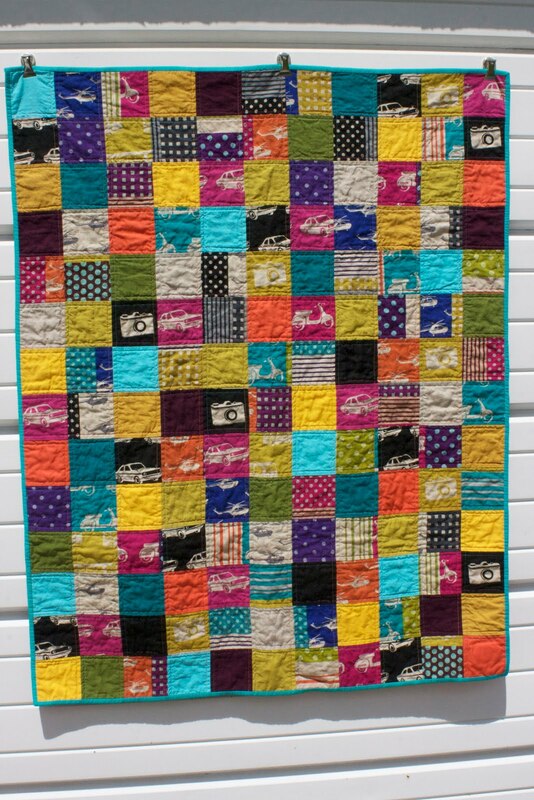 Fabulous quilt, love all that colour. Your old tricks are always delightful to see; glad you're back up to them. Keep blogging; I've missed you. Hope you are doing well, erica! 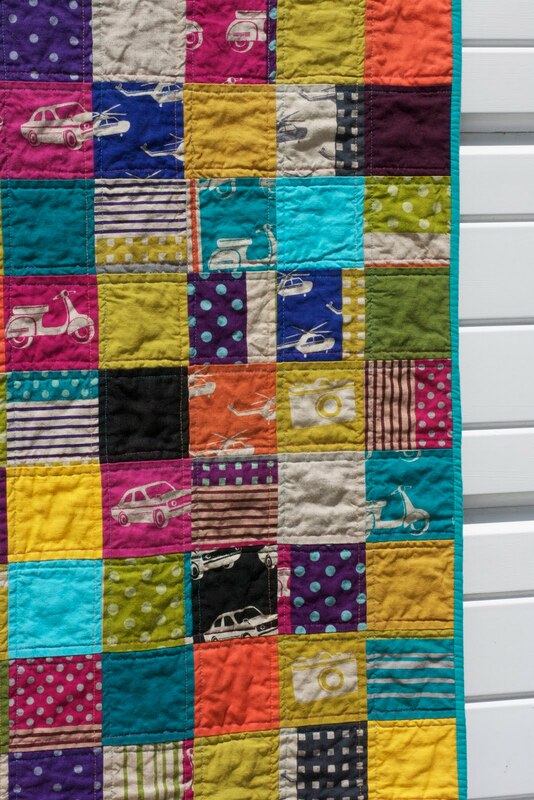 Your quilts turn out so nice always! 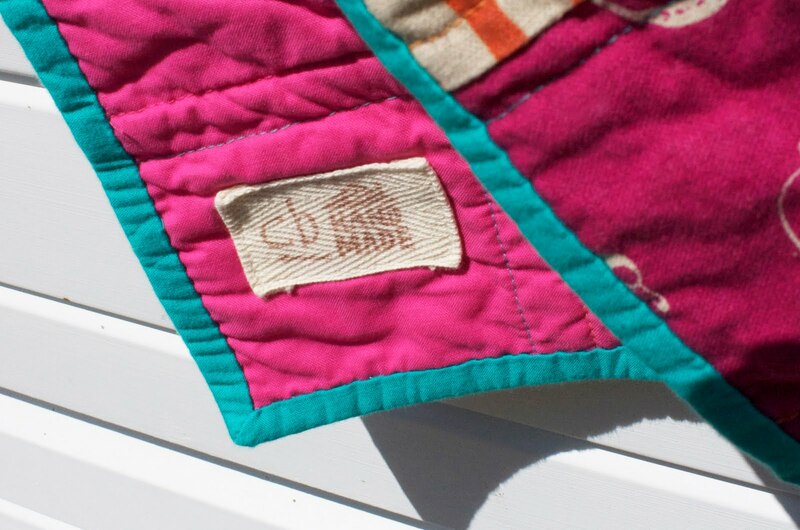 just came across your blog on a google search for modern log cabin quilts. love your aesthetic! 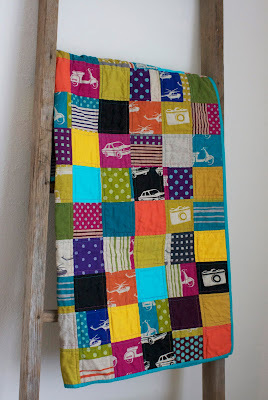 O how i love this quilt!! May I ask what fabric line is it from?? 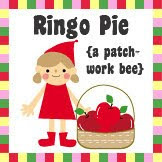 I would love to get some and make a quilt. it looks so soft and cuddly. just stumbled on this from pinterest. 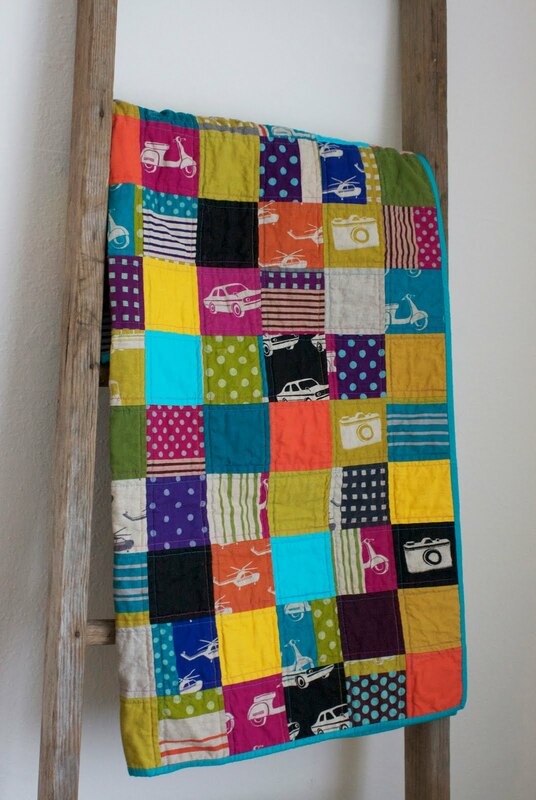 This is an absolutely beautiful quilt! Nicest I've seen from these fabrics. Is this melody miller fabric?